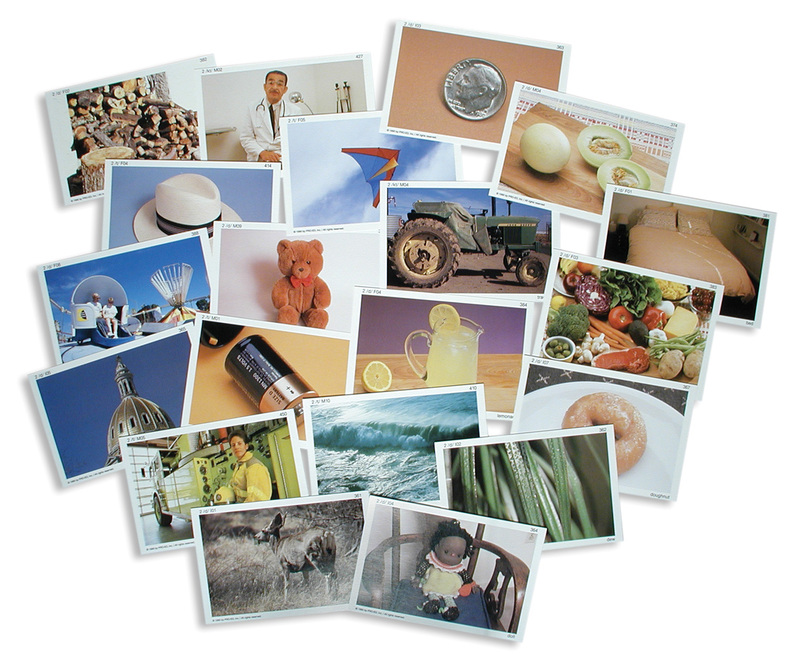 Photo Articulation Library gives you a comprehensive collection of stimulus photos you'll use in the classroom or therapy setting for years to come. Organized by sound for any learning activity - articulation, early reading, and much more! 1,085 real-life photos have target words arranged by consonants, consonant clusters, vowels and diphthongs, and positions of sounds in words. 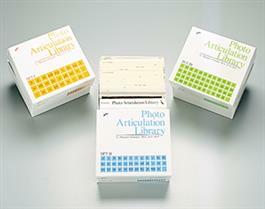 You'll have three boxes of photos, each containing more than 350 cards‹covering a huge range of sounds! The extensive list of vocabulary words presented gives you the freedom to use Photo Articulation Library with every client on your caseload - regardless of age. The boxes are developmentally sequenced, so you can begin with Set I using sounds that are usually developed early and move to more difficult sounds in Sets II and III. Dividers in each box specify the target sound in each section, and words are grouped according to the position of the target phoneme - initial, medial, and final. You'll be able to find every photo you need quickly by using the extensive cross indexes. Find photos by words, sounds, alternative words and sounds, word list (alphabetized set of three boxes), minimal pairs list, and vocabulary categories. You'll have complete instructions for selecting photos for sound and language activities and a detailed guide to using the indexes.